Pergamon is a popular tourist destination in Bergama which is located near to Aegean Sea in Turkey. 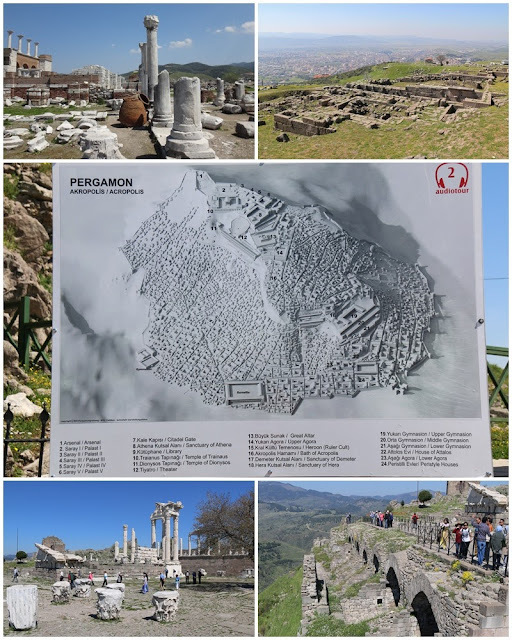 Pergamon was an ancient Greek city which became the capital of the Kingdom of Pergamon during Hellenistic period under Attalid dynasty (281-133 BC). During Hellenistic period, Pergamon was well-known as a major learning centre and developed city in the ancient world. Pergamon site is located on the top of the mountain in Aegean region. To get to Pergamon archoelogical site, you can only access by getting on and off the cable car ride. We actually join the seven days ground tour which takes us to all popular attraction in Istanbul and also outside of Istanbul city. Public transportation is impossible to reach there as it is located very far from the nearby city in Bergama. 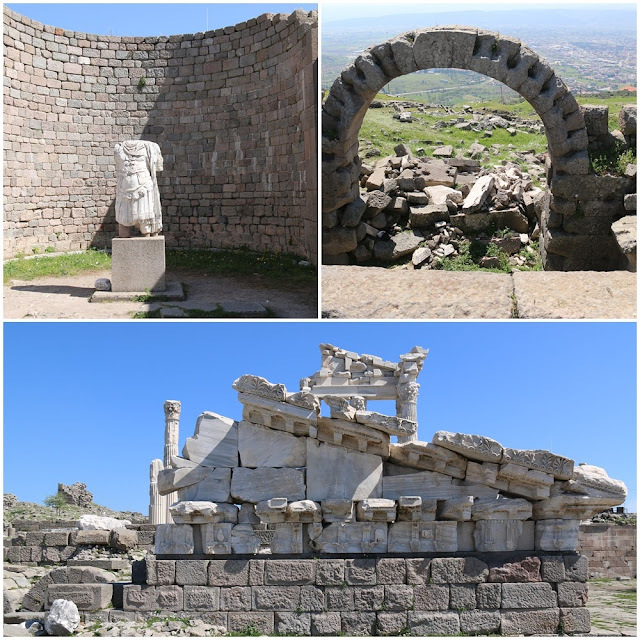 Once you reach to the top of mountain, you will find many remaining sites of monumental temples, theatres, gymnasium, altar and library on the sloping terrain and surrounded by the city wall of Pergamon.